Teachers in any given field are the protectors and disseminators of history. History is something that has happened and is factual. Is it important? Some would say, “Who cares what happened in the past?” That is especially true in these modern times. History, however, is important to a society. It provides a sense of respect and pride in a given discipline. In sports, baseball comes to mind as a game that truly honors its past. On just about any broadcast, an announcer can immediately cite a statistic from the origins of the game. Stories about the legends of the sport are passed down from father to son to grandson…daughters and granddaughters, too. Why? Because as humans, we are heading somewhere, and the past helps us in that endeavor. Golf is almost as old as baseball in this country. It has a grand history despite constant changes to equipment and courses over the years. Golf’s past is a fascinating story worth telling all new and regular participants of the game. 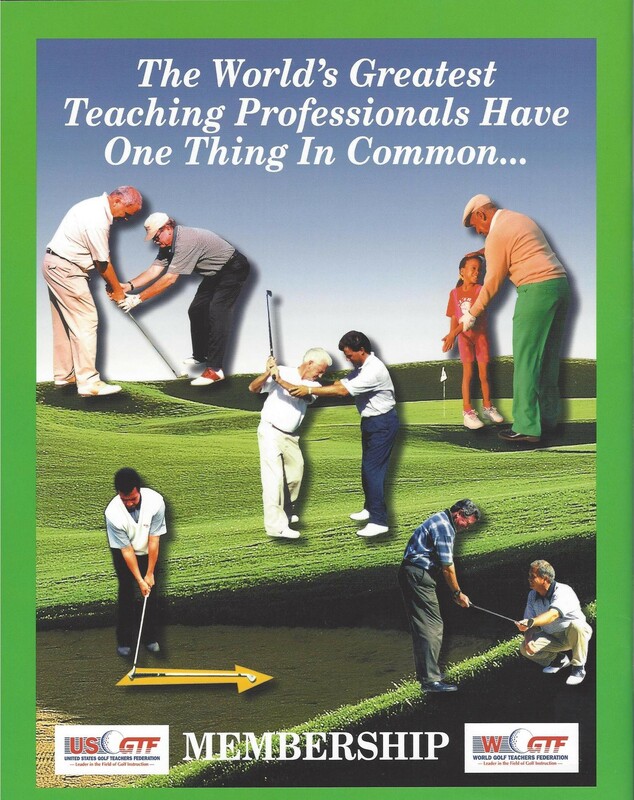 The United States Golf Teachers Federation has been a staunch ally when it comes to embracing and encouraging its members to teach and experience golf’s roots. The USGTF regularly sponsors events that recreate the game as it was first played in America with the use of hickory-shafted golf clubs. The organization encourages its members to participate in these events, because understanding golf’s origins makes for better teachers. The United States Professional Hickory Golf Championship and the World Hickory Open are two of the most significant events on the hickory calendar each year that are sponsored and supported by the USGTF. There is no better way to share the experience of our fore-fathers than to play with the instruments of those years. Fortunately, there are still plenty of them in circulation and plenty of tournaments around the globe in which to compete. Teaching golf is very rewarding, especially when you can share some of the history of the game with your students. It will give them a better appreciation and respect for this honest and decent endeavor. Just hit a hickory club and wonder about its story. The experience will enrich your life.